As the Bitcoin bear market that first began when BTC reached nearly $20,000 in late-2017 persists into 2019, investors are keen to know when the markets will begin climbing back towards their previously established all-time-highs. Although there have been many positive developments in the cryptocurrency industry over the past year, if history proves to be true, it may take BTC years before it is able to break above $20,000 and surge to new highs. Lately, there has been a significant amount of talk in the cryptocurrency industry regarding whether or not BTC will start a fresh uptrend based on fundamental price action, or based on news-driven price action. 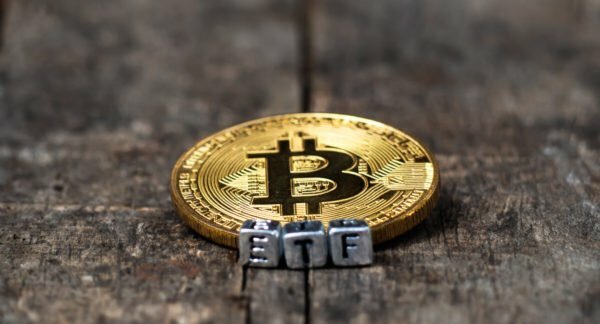 Throughout 2018, many investors saw the potential approval of a Bitcoin ETF as one such event that would help Bitcoin fundamentally and lead to an influx of positive news that would allow Bitcoin’s price to start a new upwards price cycle. This hope was crushed, however, earlier this week when it was announced that Cboe had withdrawn the VanEck-SolidX Bitcoin ETF application, which will likely lead to significant delays until they reintroduce this application to US regulatory authroities. Cboe recently withdrew their highly anticipated Bitcoin ETF application. Now, investors are largely turning to theories regarding history-based price cycles to predict where the markets will head next. Josh Rager, a popular cryptocurrency analyst on Twitter, recently noted that BTC takes longer to set new all-time-highs with each price cycle, which could mean that if Bitcoin follows its historical trends, it may not break above $20,000 until March of 2021 or later. “When will Bitcoin break its previous All-Time High? It took 1,181 days for BTC to break its previous ATH and 1,478 days to peak at new ATH in Dec ’17… At this rate, $BTC would break previous ATH +$20k in March 2021 or later… New Bitcoin ATHs seem to take longer with each cycle,” Rager explained. It is important to note that the basis of this theory assumes that the massive volatility BTC saw in 2017 and 2018 did not have a fundamental impact on future price action, and that there will not be any major news that impacts BTC’s price action. Bitcoin is extremely close to breaking its record for its longest-ever correction, which may provide further support for the theory regarding fresh all-time-high cycles taking longer with each new pricing cycle. Which United Airlines credit card should you choose?